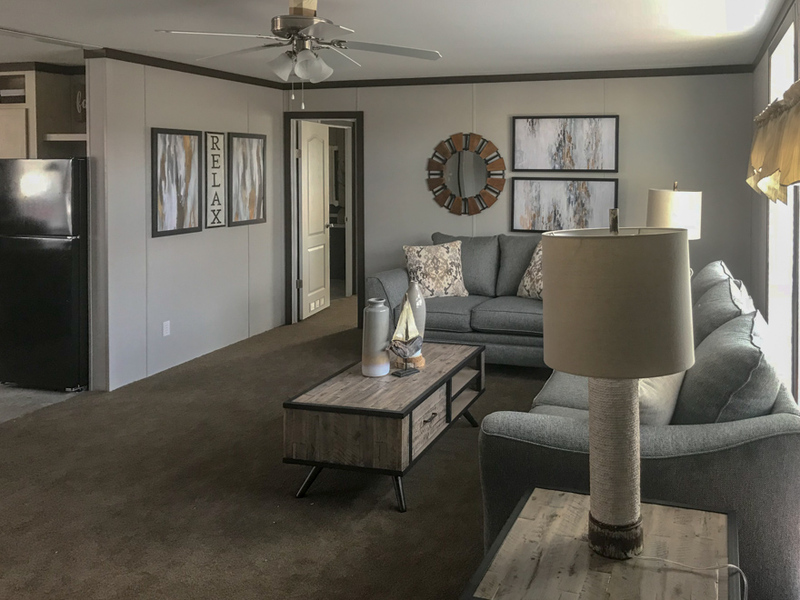 The Texana model has 4 Beds and 2 Baths. 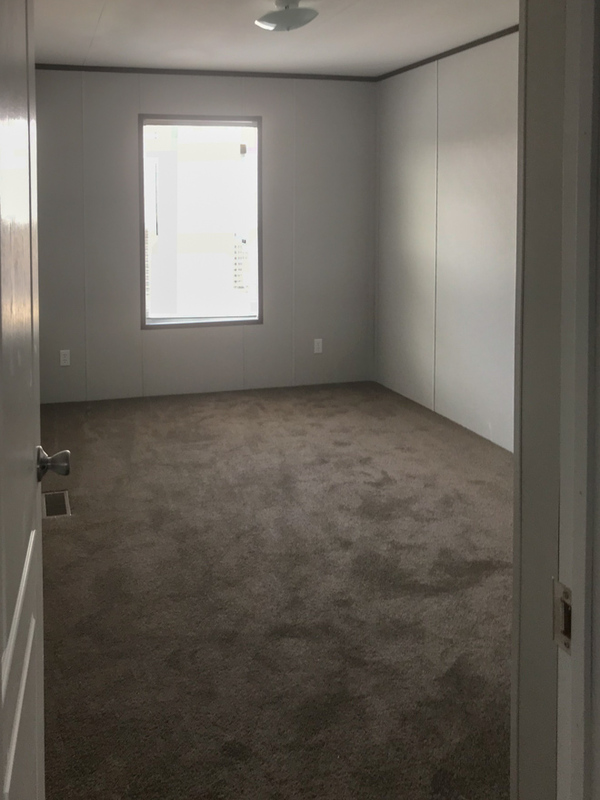 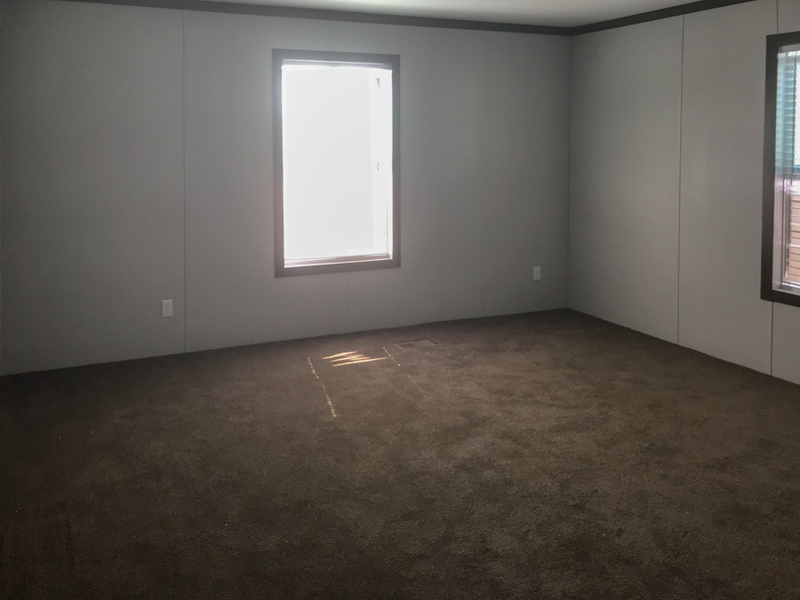 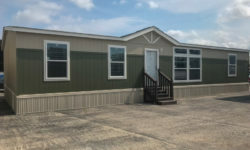 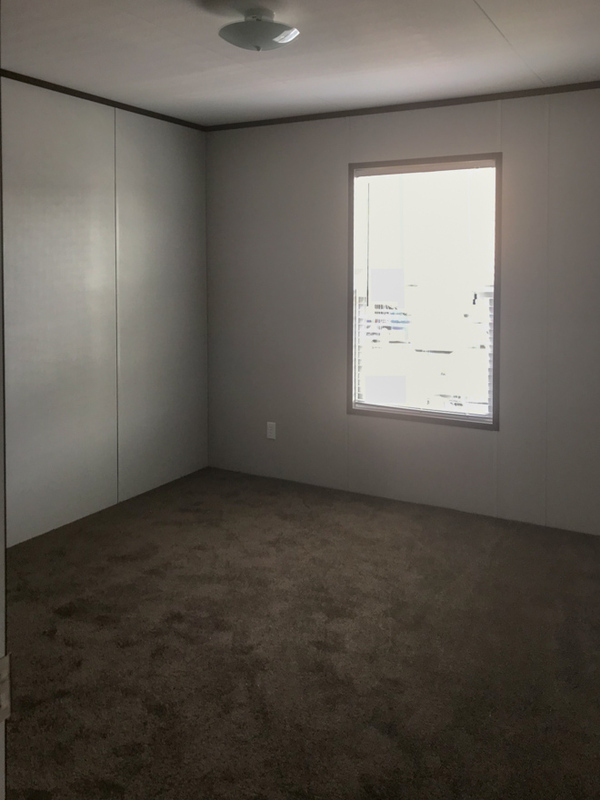 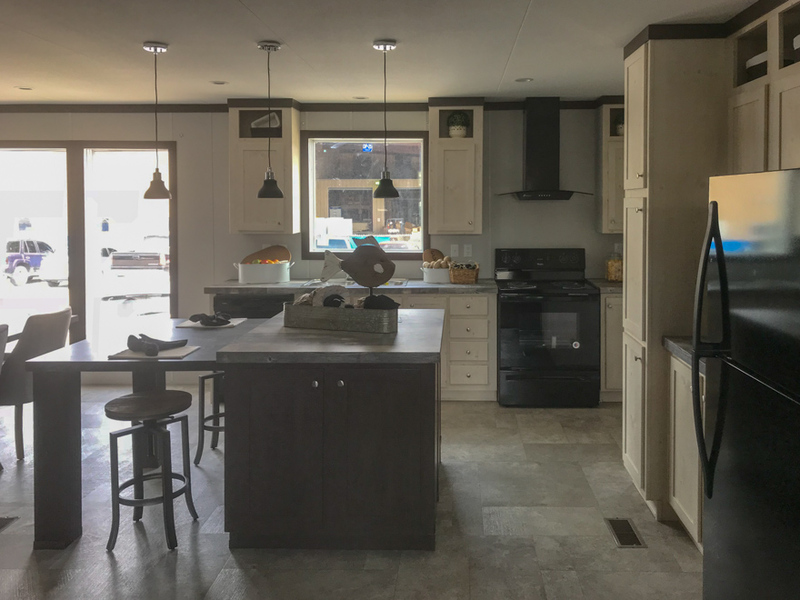 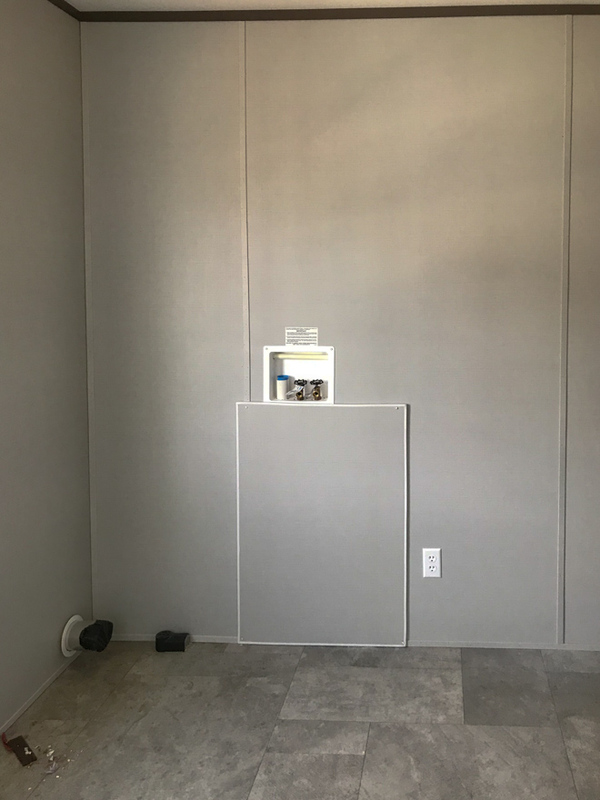 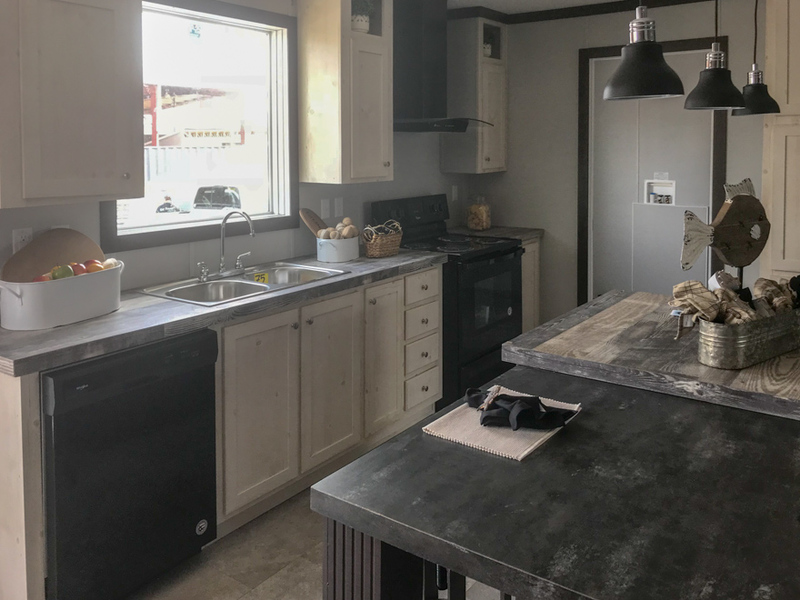 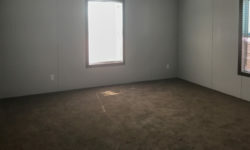 This 1698 square foot Double Wide home is available for delivery in Texas, Louisiana, Arkansas, Oklahoma, Mississippi & New Mexico. 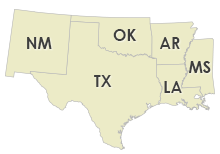 The Texana is quite considerable in size. 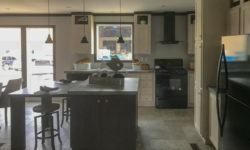 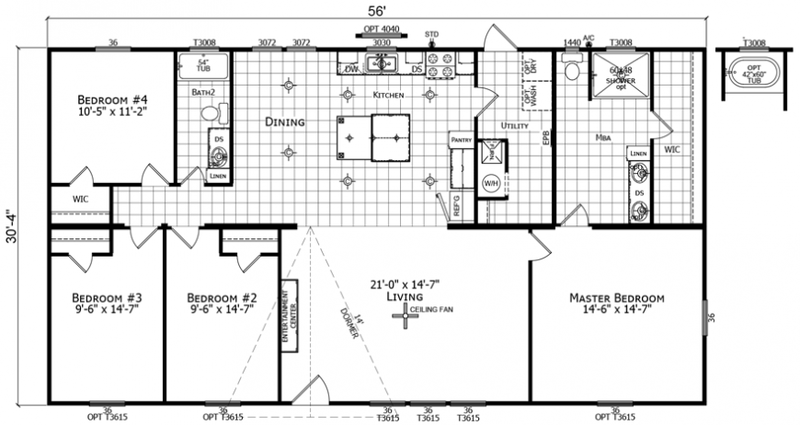 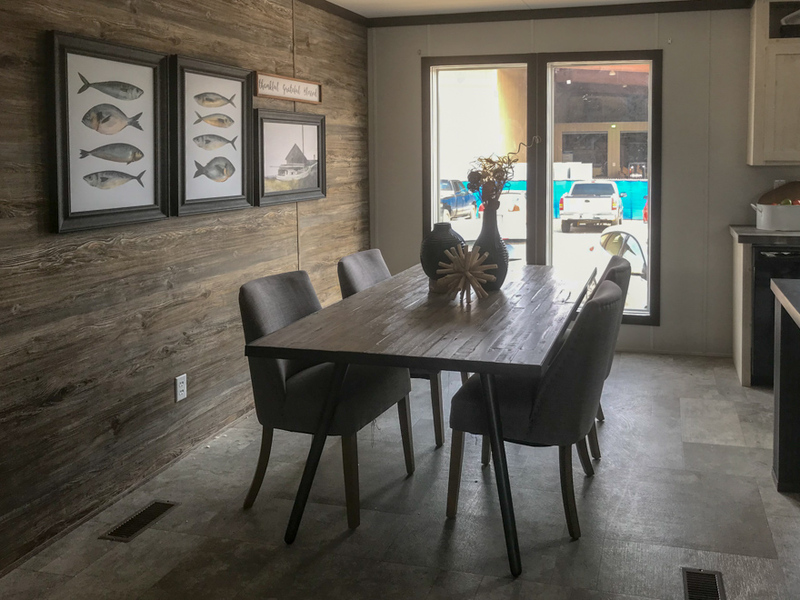 A formidable match for any site-built home, this budget-friendly double wide has a contemporary split floor layout featuring a wide-open combined living and dining space. 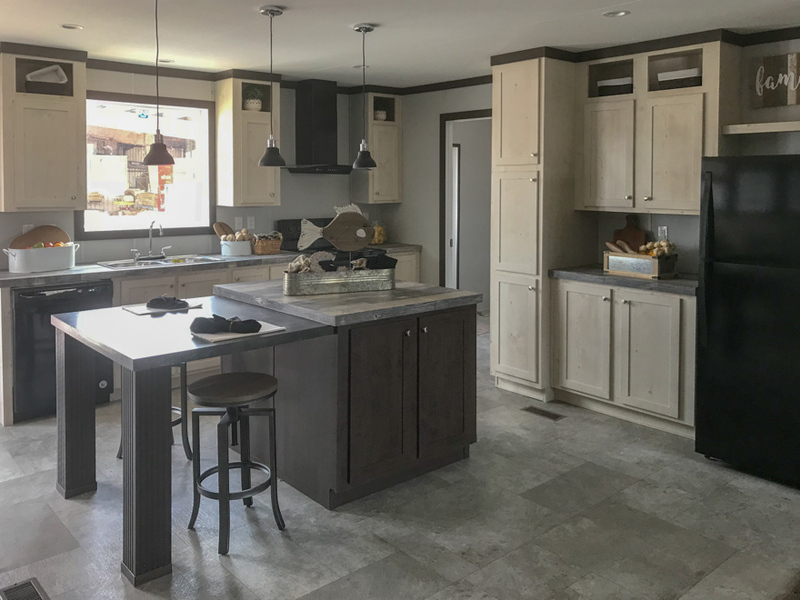 The sheer size and grandeur of master suite speaks for itself and the large kitchen island is nothing short of magnificent. 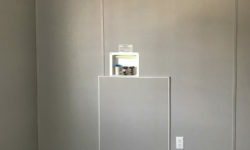 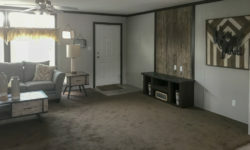 Don’t forget to ask about the long list of upgrades and options. 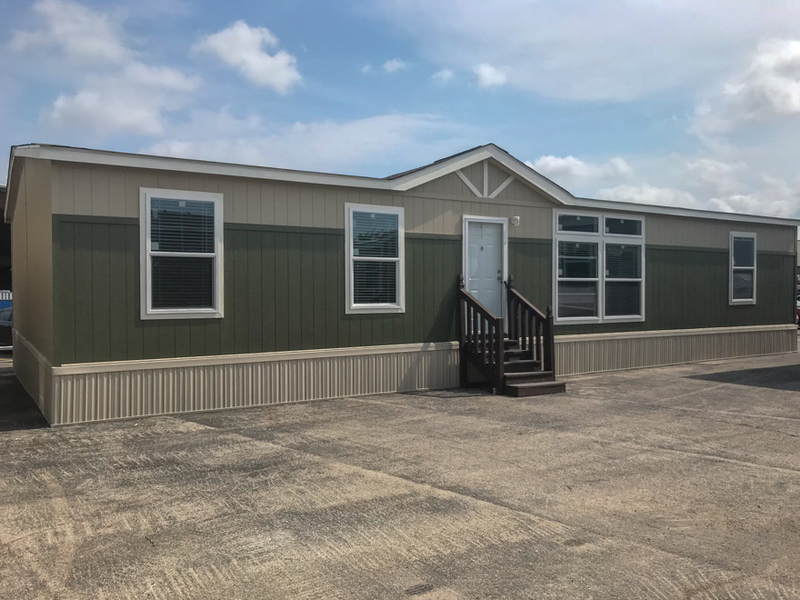 Front Exterior showing Optional LP Smart Panel siding painted in color (Stonington Beige), Optional Wainscot 72″ of Painted area in color (English Pinewood), Optional 4″ Window Trim (Frontside Only), Optional 36″x82″ Residential Front door with Storm Door. 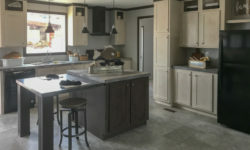 Kitchen showing Standard applinaces in color (Black), (Coastal Creame) Cabinets with Knobs, (Itilian White De Pesco) Laminate Countertop on all base cabinets, (Antiquue Maruia Pine) Laminate Countertop on Kitchen Island with (Forged Steel) Laminate on Drop Down Island, Optional 40″x40″ Thermal Picture Window. 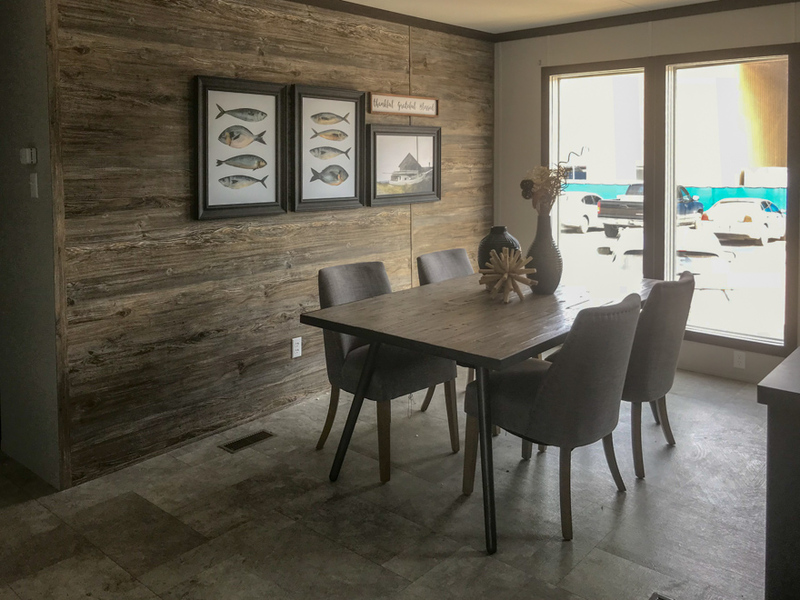 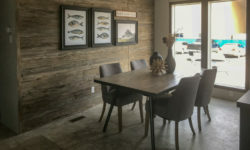 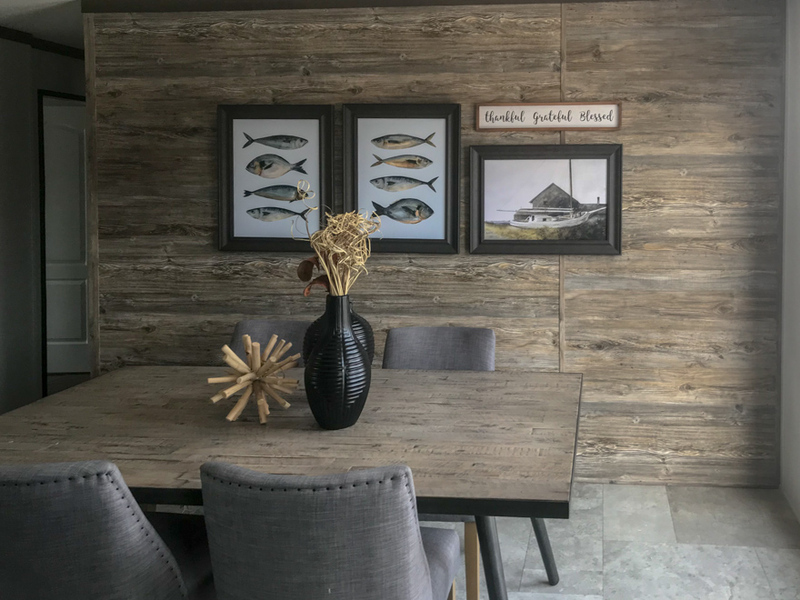 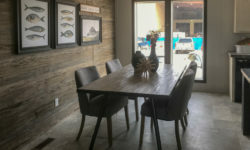 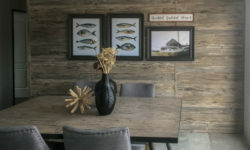 Diningroom showing Stadard Picture Windows and Optioanl Accentwall in color (Barcelona Cedar), Optional Craftasman Style Trim. 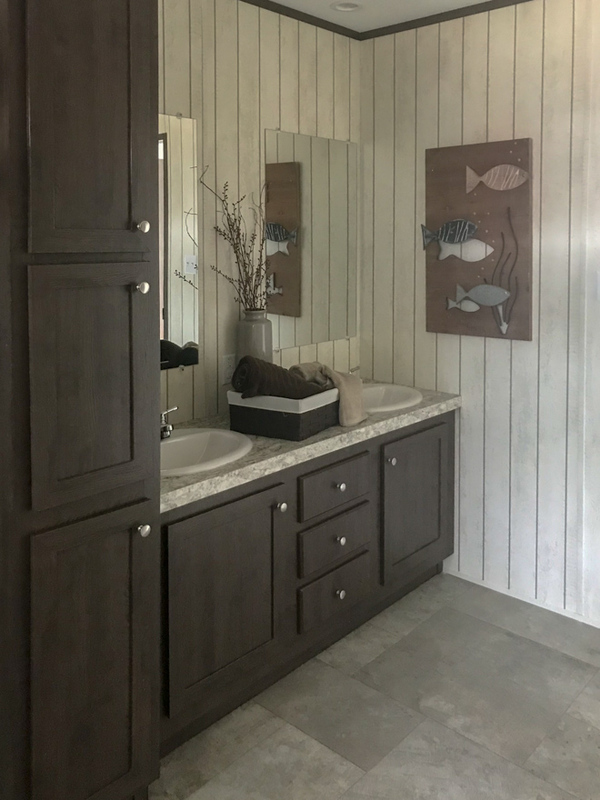 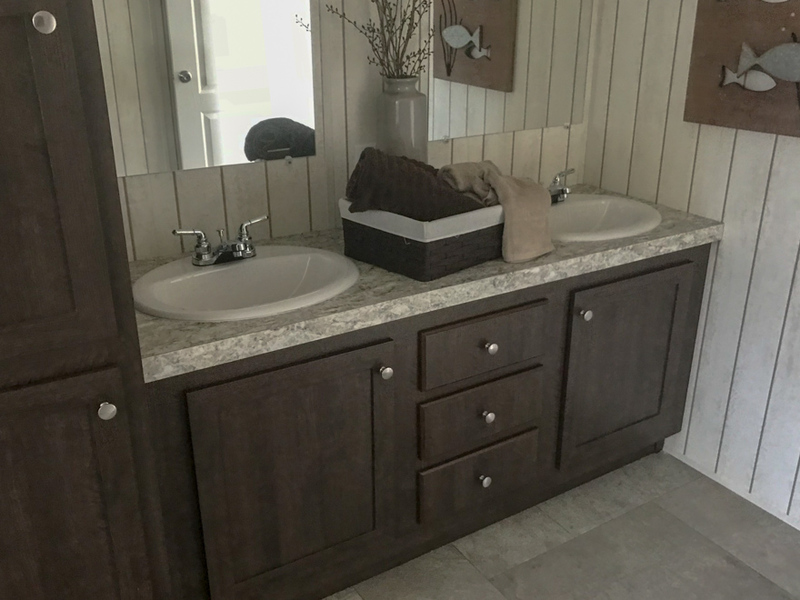 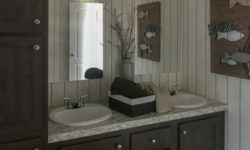 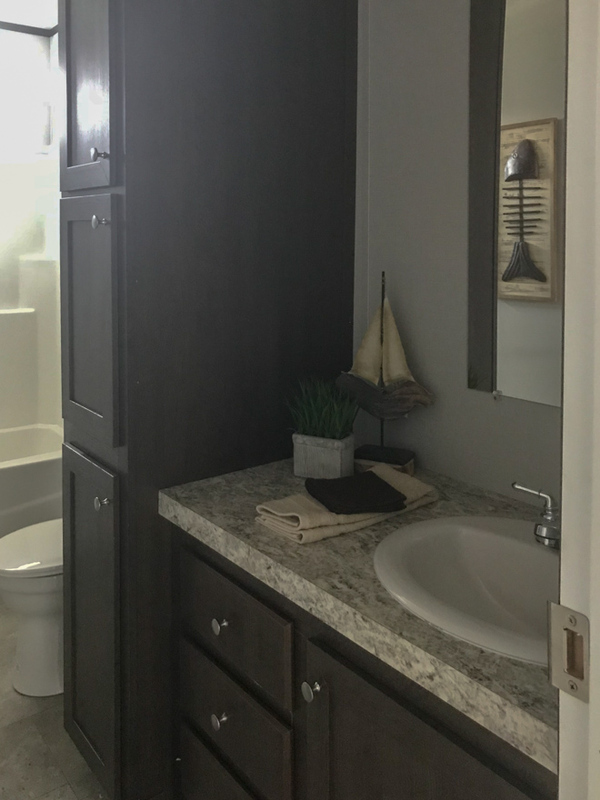 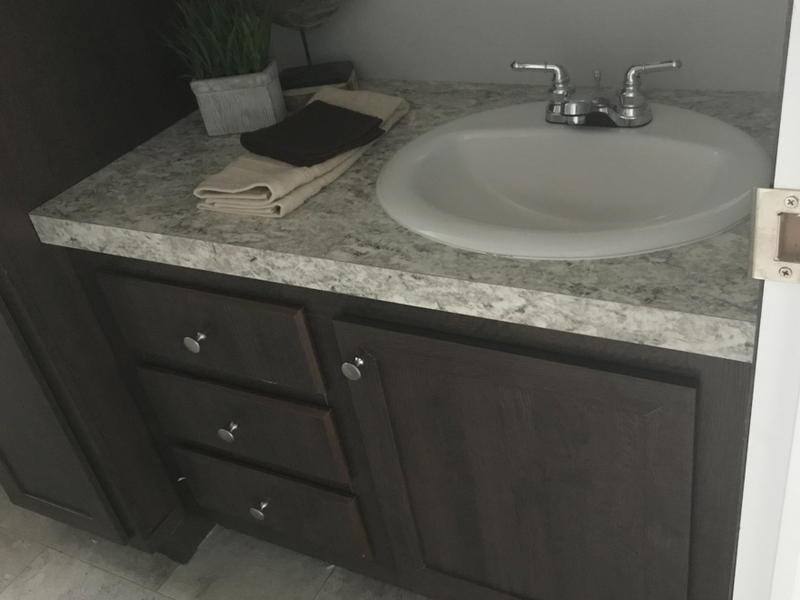 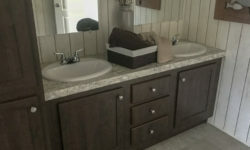 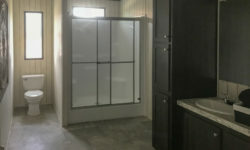 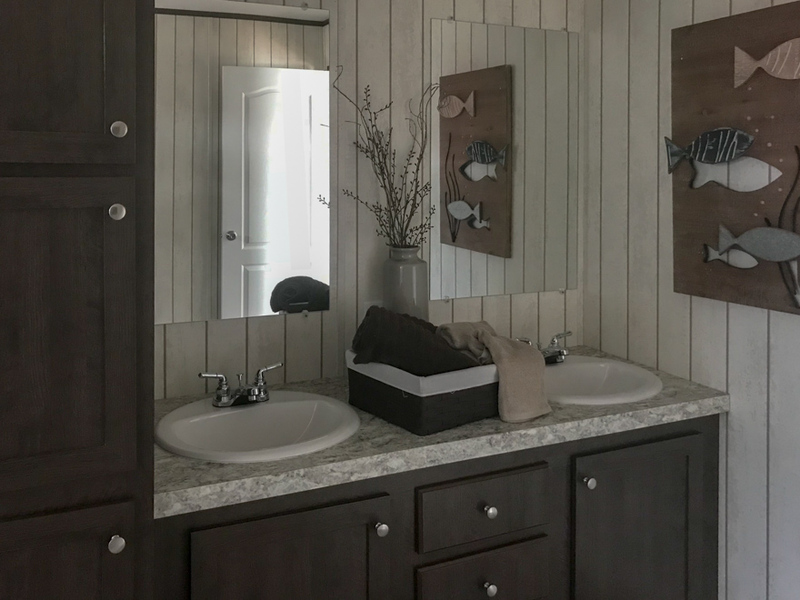 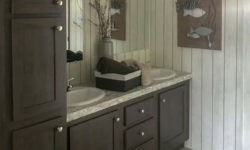 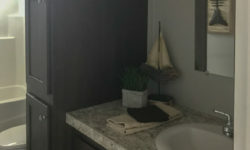 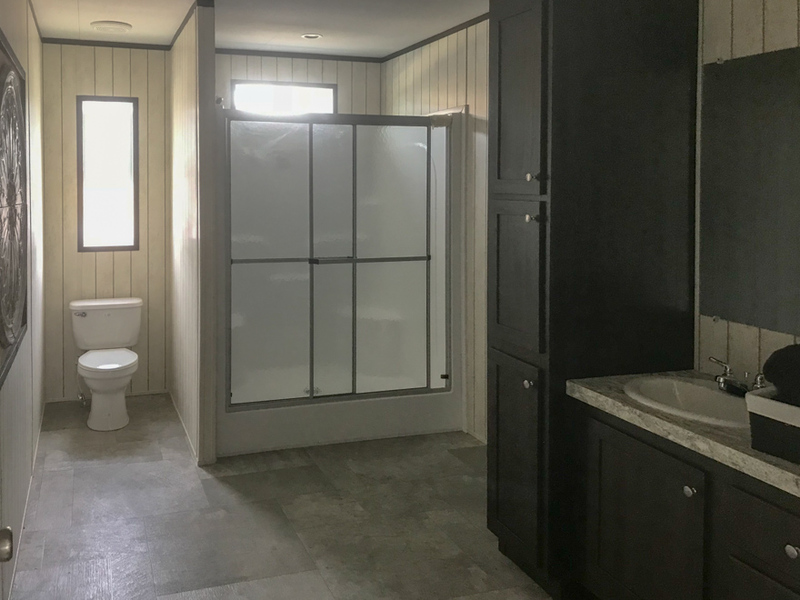 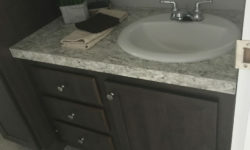 Master Bathroom showing cabinets in color (Creston Oak), Standard 60″x48″ shower, 30″x8″ Transom above shower, 14″x40″ window above commode, and Standard Dual Vanity with linen cabinet. 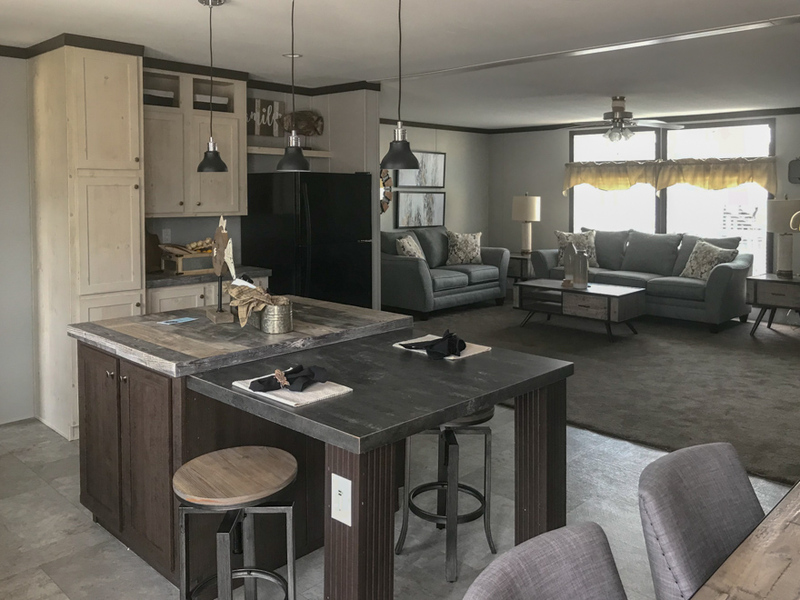 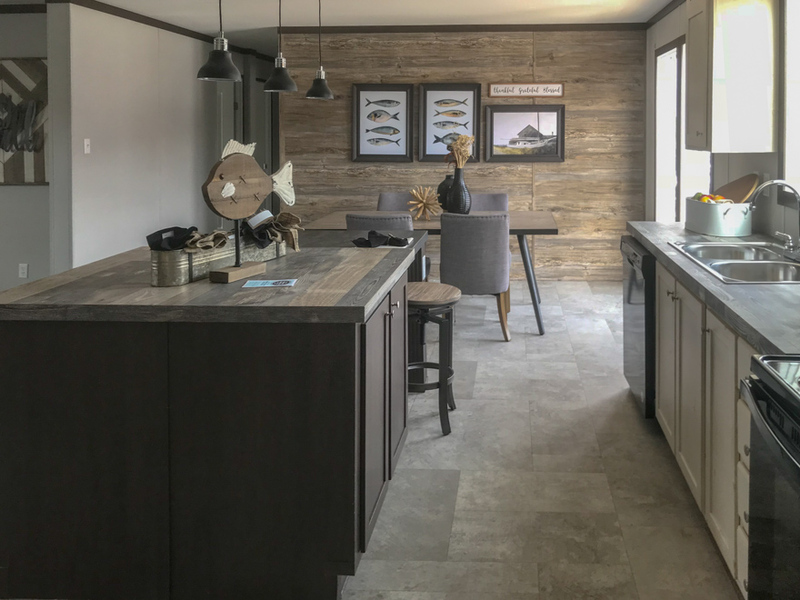 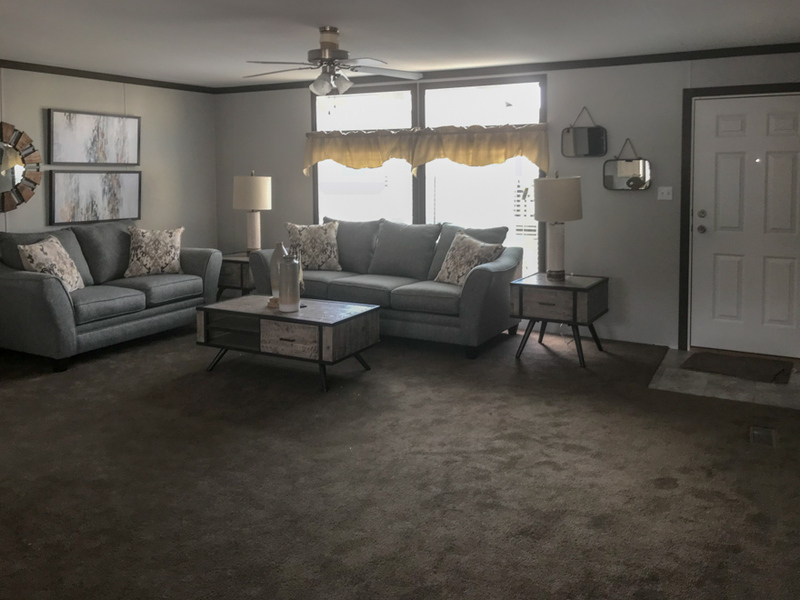 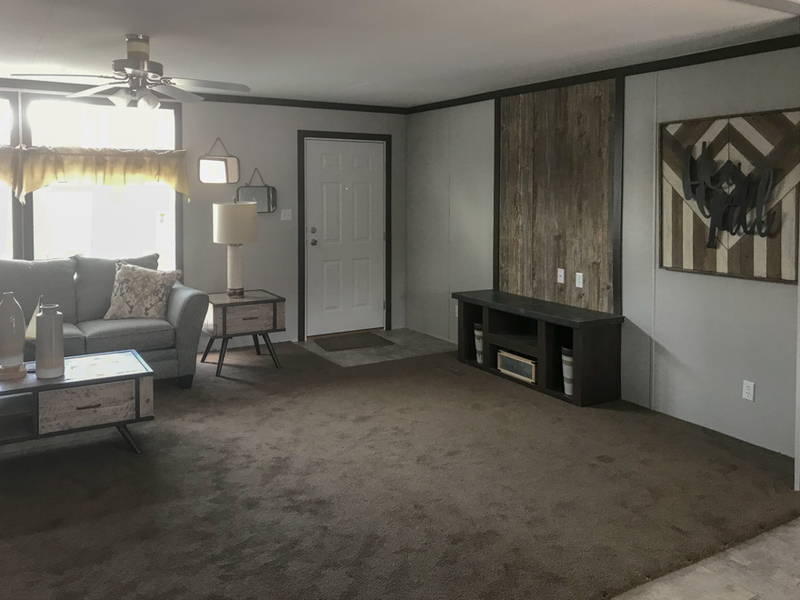 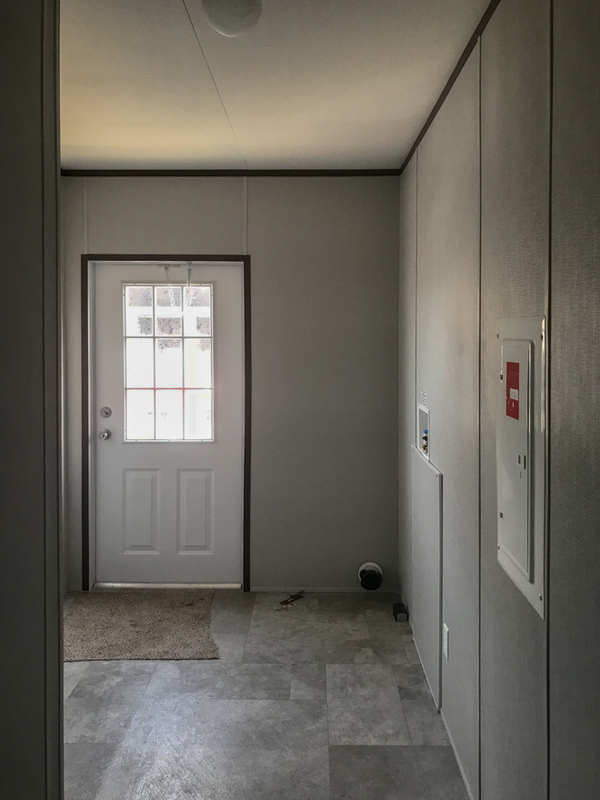 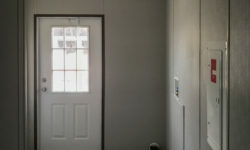 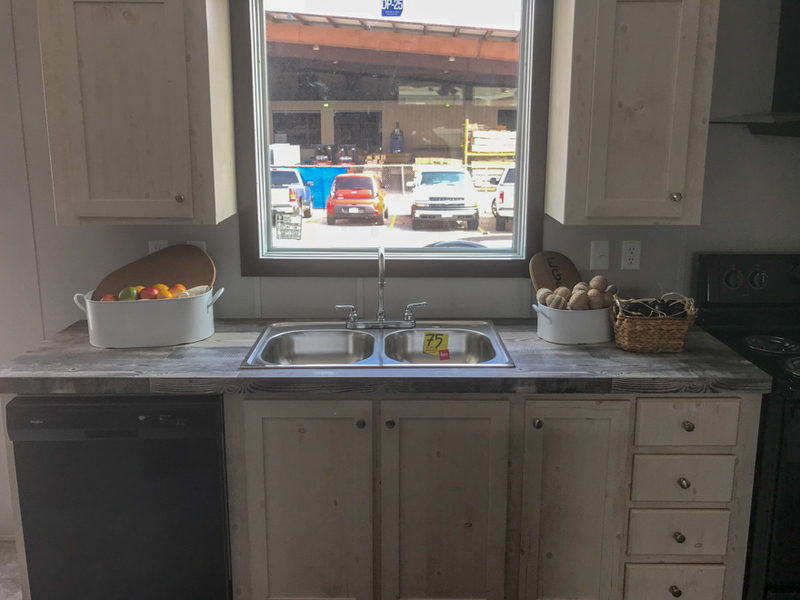 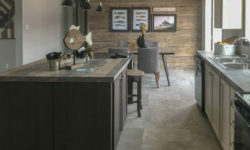 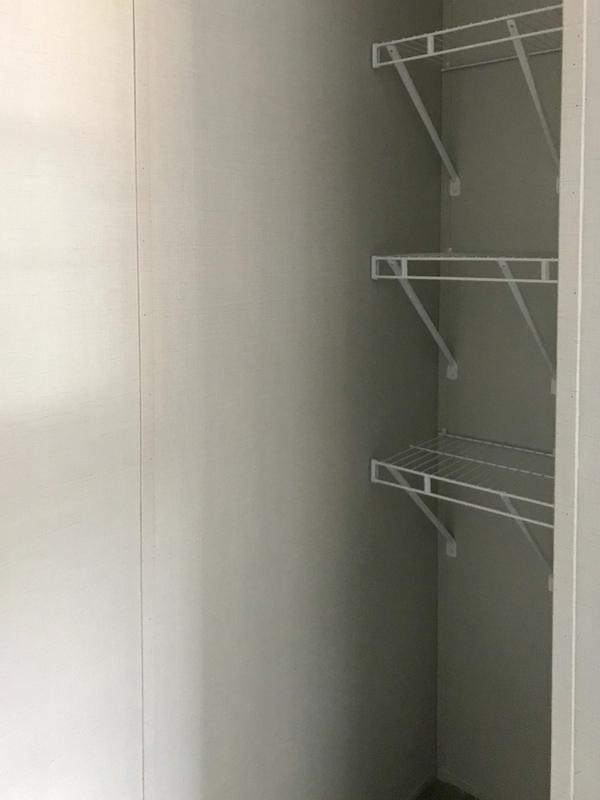 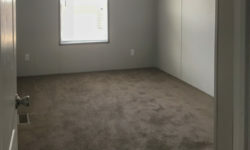 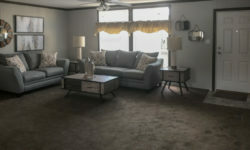 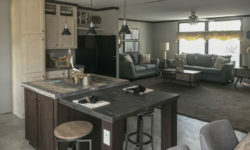 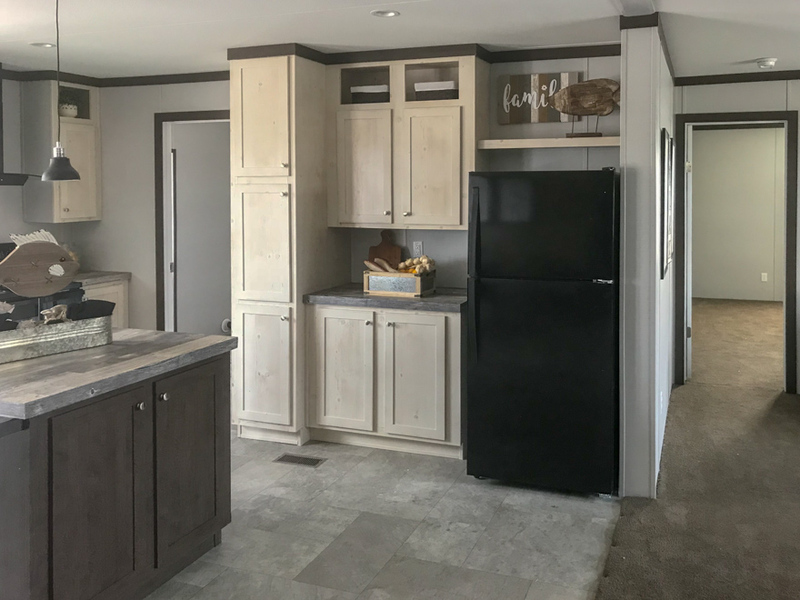 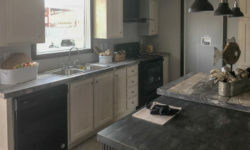 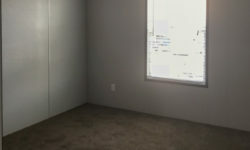 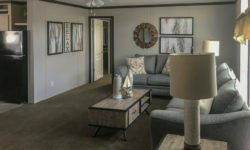 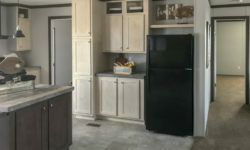 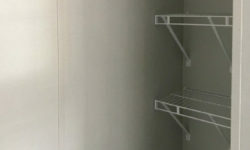 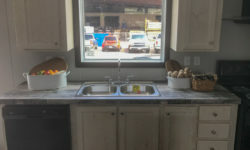 Ask your housing consultant about the other great features that come standard on the Texana manufactured home.